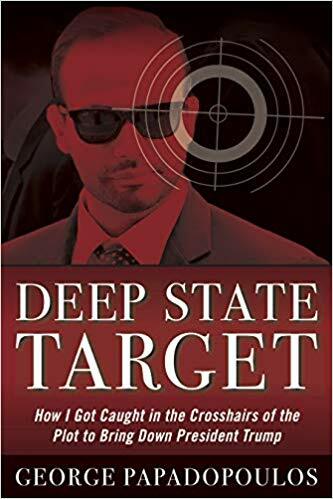 George Papadopoulos, who pled guilty to lying to FBI agents investigating Russian collusion by the Trump administration, is out with a new book, Deep State Target: How I Got Caught in the Crosshairs of the Plot to Bring Down President Trump. He recently appeared on C-Span to discuss it. The first approximately eight minutes of the video interview is a must watch. It provides the reasons why you should never ever talk to government enforcement officials. The rest of the interview covers the incredibly fascinating story of what happened to Papadopoulos including a number of mysterious characters that entered his life and the details of how he was set up. This is a true to life John LeCarre story.